Many women postpone dental checkups, or even important treatments, in fear it could harm their baby. But your teeth and gums actually need extra TLC during pregnancy. Here’s why. Good oral health = good health. Poor oral health contributes to problems in overall health. Researchers have found links between oral disease and diabetes, pneumonia, heart disease, stroke, even preterm and low-birth-weight babies. More immediately, pain, missing teeth and infections affect your psychological health and lower your quality of life. Why pregnant women need to take extra care. Increased estrogen and progesterone levels starting in the first trimester of pregnancy can contribute to gingivitis, the mildest form of periodontal disease. Up to 50% of pregnant women experience gingivitis. Without treatment, gingivitis leads to periodontitis, a major source of adult tooth loss. Periodontitis can contribute to preterm delivery and low-birth-weight babies. Warning signs of gingivitis include: Gum inflammation, bleeding, extra tenderness or sensitivity. If you experience any of these, see your dentist. Dentistry during pregnancy is safe. Motherisk (a research program providing information on the safety of drugs and exposures during pregnancy and lactation, at the Hospital For Sick Children, in Toronto), deems treatment for pregnancy-related gingivitis, including plaque control techniques, scaling and daily rinsing with a 0.12% chlorhexidine prescription wash, completely safe. Periodontitis treatments like scaling and root planing under local anesthetic are also safe, and reduce the likelihood of having a preterm delivery or low-birth-weight baby. Dental X-ray scans are also safe. The estimated fetal radiation exposure in a dental X-ray falls well below any amount associated with potential harm. Amalgam fillings should not be placed—or removed—during pregnancy, due to trace amounts of mercury, says Health Canada. 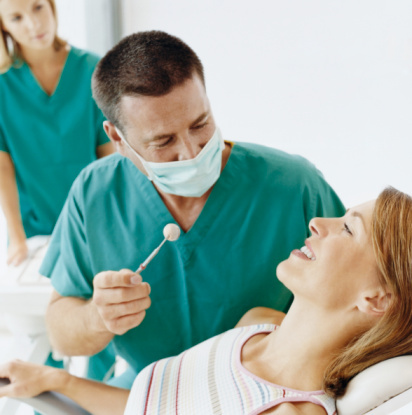 If you have a cavity, a composite, glass ionomer or gold filling is preferred. The Canadian Dental Association recommends against teeth whitening during pregnancy. These bleaching products haven’t been tested on pregnant women, so nothing is known about their potential toxicity to fetuses. Dentists take extra precautions when treating pregnant women, so inform/remind your dentist and hygienist of your condition before every appointment.